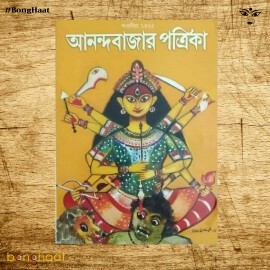 Sananda Pujo 1425 (2018) is a special Puja edition of Bangla fortnightly Magazine Sananda, This magazine is published annually by ABP (Ananda Bazar Patrika Publications) from Kolkata during Durga Puja. Sananda is a 26 year old magazine and is every woman's best friend. Fashion, beauty, relationships, interiors, travel, parenting, workplace, etiquette— you name it and Sananda covers it all. Moreover this special edition will have stories, novels, Comics, small stories, Puzzles, Sports, feature stories and many more.